Do you need an affordable and effective Peachtree City lawn service? Who doesn’t? Georgia’s soil and climate presents challenges you won’t find anywhere else, so it’s common for property owners to struggle with keeping their grass thick, green and healthy. Make sure you get the benefit of working with the best providers in our area. Get in touch with Think Green Lawn Care today to devise the most appropriate maintenance plan for your property. We’re pros at managing cool and warm-season grasses and an impressive selection of trees and shrubbery. The high heat, sultry humidity and incredibly short dormant season stress landscape elements and lead to yards with bald patches and yellow grass. Your trees and shrubs will be affected too, so we’ve added a few services for their care, too. The particular characteristics of your property go a long way in determining the best schedule for fertilization, weed and pest control, aeration, overseeding and our other maintenance tasks. 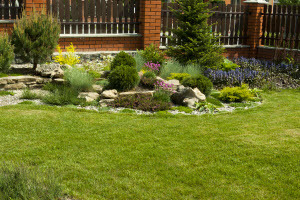 Your lawn may not need a full-range of services, or it may have existing problems requiring help right away. Our technicians go through the best training available, and we use the most effective tools and applications for the job. 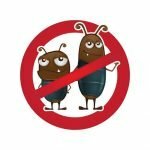 You’ll find our pest control solutions, for instance, are eco-friendly and safe for use even around pets and small children. Our core aeration methods, too, are superior to many up-and-coming companies relying on liquid applications to break up our soil. Unfortunately, with Georgia’s high-clay content, those new advances often fail to perform. We put our 30 years of experience in Peachtree City lawn service to work for you first by sticking with methods we know will work best. Customer satisfaction is our first goal; so, we won’t hype the latest advances unless they’re best for your yard. We make sure every dollar you spend supports a greener, more luxurious lawn. You don’t need to experience problems before you give us a call. Our Peachtree City lawn service is available year-round for maintenance visits and preventive planning. The winter months are an excellent time, for example, to treat winter weed growth. 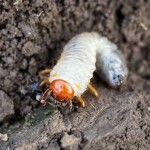 Spring is perfect for grub, mosquito and fire ant control. Of course, we’ll get started right away on any area where you have concerns. Whether you want to even out growth or work on improving the color or density of your grass, you can count on our technicians to deliver effective and affordable solutions. Call (678) 648-2556 to secure a talented and reliable Peachtree City lawn service today. Schedule a visit with Think Green Lawn Care, and achieve the lush, beautiful yard you’ve always been after.